We’ve added a CAD View to work with CAD files directly. Open any CAD file (DWG, DGN, DXF), select just the entities or layers you want and send them to the Drawing View to use in TPC. Or send parts of your drawing over to the CAD file you have open. Or write a DWG file from TPC, open it in the CAD View and tweak the drawing before sending it out. TPC isn’t a CAD program. We’re the No CAD Zone. 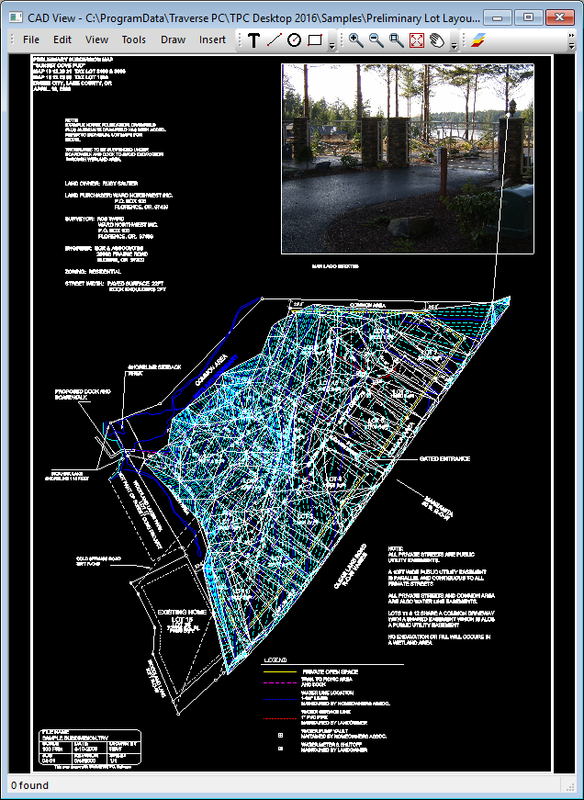 We don’t expect you to do your survey drafting in CAD when our Drawing View is so powerful and intuitive. But we understand that you still need to work with CAD. So what is best way to interface with CAD? You’ll find out in the CAD View. It’s an entirely new and better way to work with CAD files. Now the choice is yours – write a new CAD file or edit an existing one. TPC has been able to write CAD files since it first came out. Back then it was just DXF, but for a long time now, you’ve been able to write DWG and DGN files too. So when the job calls for CAD deliverables, you can do that! Just create your drawing in TPC, then write a CAD file. It’s pretty simple, and it should be. Now you can also modify an existing CAD file by adding just the survey objects you want and saving the existing CAD file. Everything the CAD file started with will still be there, plus the objects you just added. We think you’ll gravitate to this method for all of your in-house projects, where the whole team is working from a set of CAD files. Just open the file, add your survey objects and save the file. Someone else can open the file and access the survey objects you just added, or their own stuff – it’s all there. You can open any DWG, DXF or DGN file, make changes and save the file. Let’s say you sent a site survey off to the architect. He reviewed the file and and asked for a little more information on the rock wall you tied. If the architect has already started working on the CAD file you originally sent, options 2 and 3 above allow you both to keep your changes to the original CAD file – It’s pretty sweet! 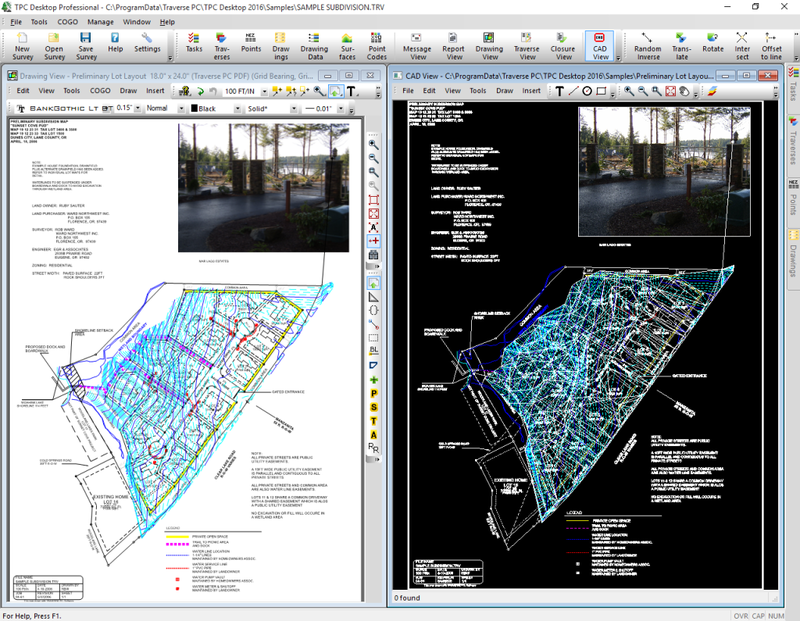 For years now, TPC users have been importing CAD files into the Drawing View to fill in missing site data, plan their as-built survey work, select features for stakeout or whatever else. TPC did the best job it could of converting the CAD entities to it’s own drawing objects. Well this whole process just got a lot easier and whole lot better. Now you can just open a CAD file in the CAD View, use the layer, pan and zoom tools to evaluate what you need, select it and send it to the Drawing View. Your drawing now contains just the entities or layers you need – not the whole drawing. The Drawing View doesn’t need to render the drawing – the CAD View does that, and it does it really well. This is same technology that commercial CAD programs use. We leave the details up to them. Since you are bringing in just the entities or layers you need, your TPC drawings stay small and fast. Since you are bringing in just the entities or layers you need, your TPC drawings aren’t cluttered with dozens or hundreds of layers you don’t care about. You can bring in entities and layers as you need them. Start with the site grading, then later on, bring in the underground utilities, then the foundations, then the parking structures, and so on. Get what you need, when you need it. We are very excited about sending drawing objects into an existing CAD file and here’s why – it retains all the integrity of the existing CAD file. So open any CAD file from any architect or engineer, add your survey objects and save it. That’s it. They now have all of their original and proprietary drawing information along with the deliverables they contracted you to provide. Open a DGN file and write out a DWG file. Or open a DWG file, write it out as a DXF, then strip the blocks out it and add them to TPC’s blocks library. You run into lots of reasons to convert CAD files in your work and now you can do it right from TPC Desktop. We are hearing great things about the new Google Earth interface. We added this with TPC Desktop 2015 R1 and have been working hard on it ever since. Here are some of the new features you’ll find in TPC Desktop 2016. If you fill traverses, these fills now export to Google Earth. Plus, we give you the option to select the intensity of the fill before you export. So if the fills look just right in TPC but are too bold in Google Earth, just back off on the intensity until they look just right in Google Earth. Lines that TPC exports to Google Earth have a (L) Tangent, (C) Curve or (S) Spiral. Click the symbol and get all the information about that line and it’s survey points. Your Traverse PC Lot Labels will now display the Traverse Name in Google Earth along with its push-pin. Clicking on either of these will display more of the lot information. We are continuing to expand our Google Earth compatible point symbol library. Most of the point symbols you use every day are supported in Google Earth. You can now export side shots with your traverses and even import them back into TPC. 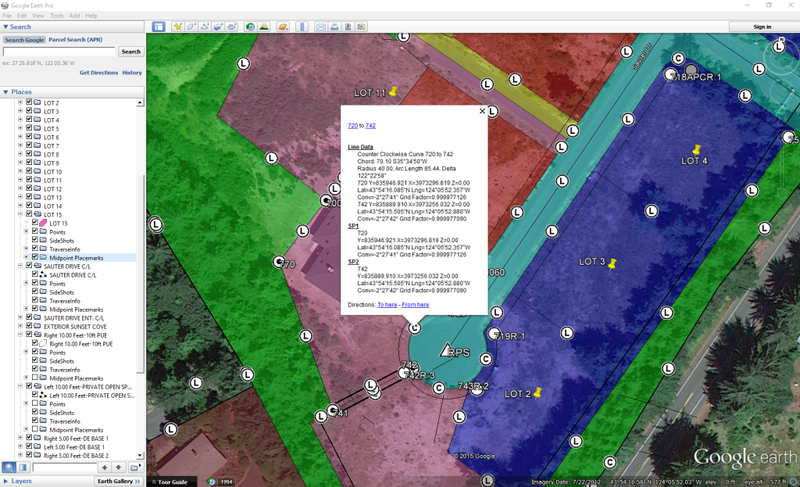 TPC’s KML/KMZ files now know about side shots, so you can keep your traverse formats going in and out of Google Earth. TPC now lets you convert coordinates when you import or export. You have a survey in Feet, but you are given an ASCII coordinate file to import that is in Meters. The ASCII import allows you to convert the units of the imported points from Meters to Feet during the import. You are given an ASCII file with Ground coordinates but TPC stores all it’s coordinates in Grid. The ASCII import allows you to automatically convert the imported coordinates from Ground to Grid based on the CRS of the survey. The Settings dialogs allow you to convert coordinates both on import and export. 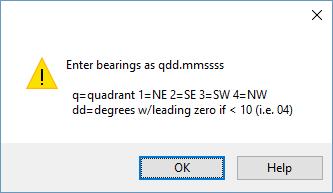 Just tell TPC you want to convert coordinates, then select the Settings button to open the Coordinate Conversion dialog and tell TPC how you want to convert them. If you turn on [x] Details when importing, TPC will include the raw coordinates along with the converted coordinates in the report. 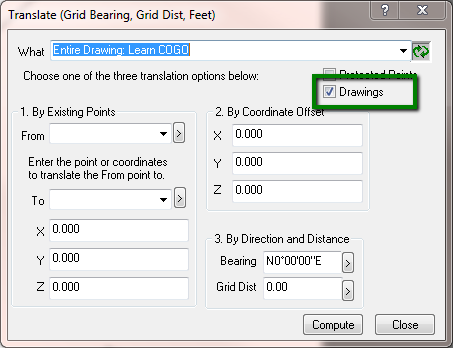 The Coordinate Conversion dialog lets you convert coordinates that are already part of the survey. You will use the What list in the dialog to tell TPC what part of the survey to convert. 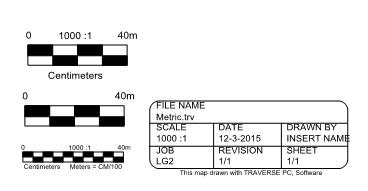 If you imported a traverse from a data collector, you can convert just that traverse from ground to grid. How do you handle data coming in from two crews on the same job? What if they both use point 1000 but for two completely different points? Or what if you do some more field work and assume coordinates for a point but want to use the existing point from the survey? These are not uncommon situations. We understand. That’s why we came up with a great new way to handle these and other potential pitfalls with data import. Now, every import has an option called, When an imported point matches an existing point. It’s a simple pull down list with just three options. There’s a whole new help topic that walks you through each of these options, what they do and how they interact with with protected points. Plus, the Details report provides information about any changes made to existing points, like what the old description was before it was updated to the new description and so on. The Grid<=>Ground addition is just part of a much larger effort to standardize data imports. We have been adding features to individual file filters as user have requested them. Some of these are pretty handy features that other users would like to have available for their GNSS, Laser, Total Station, ASCII or CSV import. So we took the time to implement them across the board. You will want to try one of the imports you do all the time and choose the Settings button, take a look at all you can do and jump right in. Enter +1000 to add 1000 to each imported point label or -1000 to subtract 1000. 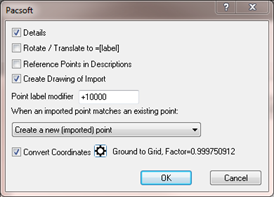 Enter GNSS* to add the GNSS prefix to each imported point or *GNSS to add GNSS as a suffix. When you modify imported points, you greatly reduce the chances of a matching point label. You can modify labels when you export also. Turn this option on to include =[existing point label] in the descriptions of import points that get relabeled because TPC found an existing survey point with their original label. For example, if point 1 is imported, but TPC finds an existing survey point labeled 1, the imported point must be relabeled to something like 1:1. If this option is turned on, TPC places =1 in the description of imported point 1:1. If you are using least squares, TPC can treat these as observations to the same point and generate the appropriate redundancies. If you aren’t using least squares, you still know what the original imported point label was before TPC modified it. Turn this option on to include unsupported records in the Details report. We’ll show you the lines we don’t read so you can pull that data out manually or drop us a line asking us to support it. Most total station data formats provide the horizontal circle reading. Internally, TPC stores the circle readings, allowing you to have a non-zero backsight reading. Inside the Traverse View, the raw data mode displays these circle readings, while the inverse mode displays the resulting horizontal angles that were turned from their respective backsights. Use this option to convert horizontal circle readings to angles. TPC does this by subtracting the BS circle reading from any observations and setting the BS circle reading to zero. 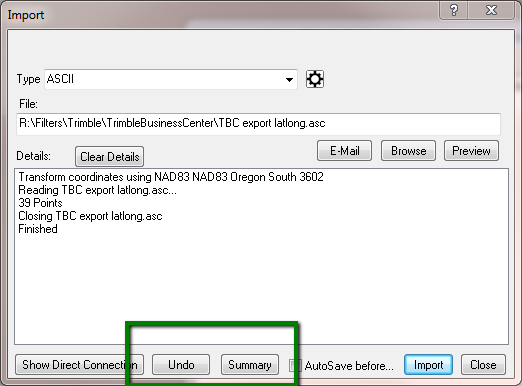 Turn this option on to have TPC automatically rotate and translate the imported data to the positions of existing survey points. Both the initial occupied point OP and backsight point BS must include the point labels of the points to translate and rotate to in the point descriptions of the imported points. 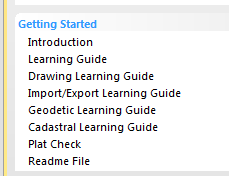 Turn this option on to create a drawing of just the data you imported. 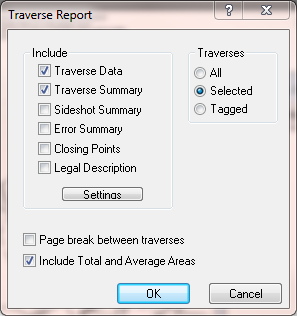 TPC creates a new drawing, tagging just the traverse that was created from the import. Get a quick look at what came in from the data, then discard the drawing if you don’t need it. We all the new Import settings options, we thought you might also like an Undo button. That way, you can try them out. And if you don’t get the results you expected, just choose Undo and try another settings. And Undo always comes with a Summary button so you can see what got changed with the last import before you Undo it. We added a Point Label Modifier field to the Relabel Points dialog. Use it in conjunction with the starting label to create just the labels you want. And this same option is now available when you import or export points. So modify the point labels as you import or import and then modify them. It’s your choice. This version of TPC includes the latest CAD drivers from Open Design Alliance, keeping TPC up to date with changes in AutoDesk and Bentley CAD products. We rely on these even more now with the new CAD view. The Traverse View status bar now always includes BS= when field angles or deflection angles are included (it used to show BS= only when the horizontal angle column was highlighted). All metric scale bars now display meters at the end of the bar. Many still include the scale ratio, as do the title blocks. The scale bar divisions are centimeters, so the ratios displayed can be used as cm to cm or meters to meters. It’s a little change, but we think you like it. If you haven’t installed the learning guides for your version of TPC Desktop, don’t worry. Now when you click a Learning Guide in the Tasks Manager, TPC looks to see if it is installed. If you have installed it, TPC opens your installed copy. But if you have NOT installed it, TPC opens it from our web site. Wow – that’s easy! We gathered all the chapters that import or export data and put them all in the new Import / Export Learning Guide. Plus, we added new chapters on LandXML, KML and CAD. This is your one-stop-shopping guide for bringing data in and out of your surveys. You can now enter zero for the background clearing width. This creates a very tight clearing around your survey symbols, text and leaders. Your county surveyor will love it. We get calls from time to time, asking how to enter a bearing. Usually from someone who is just starting to learn TPC. Well, we figured out that we can make it a lot easier with the following prompt (that you see only if you enter a bearing the wrong way) and we included a help button for more information. We’ve added lots of new help topics, such as the Alignments landing page, to help you use TPC Desktop more efficiently. We created a whole set of videos to help you learn and use the new features in TPC Desktop 2016.